Join us this Labor Day, Monday September 2nd, 2019 at the Leawood Rotary Labor Day 5k. The race will start and finish at American Academy of Family Physicians, 11400 Tomahawk Creek, Leawood, KS 66211. The course will be flat and fast course along Tomahawk Creek Parkway. Participants in the 5k will receive a great event shirt, finishers medal, post event snacks and refreshments and more! Awards given to the top overall male and overall female. Awards given to top overall master male and overall master female. 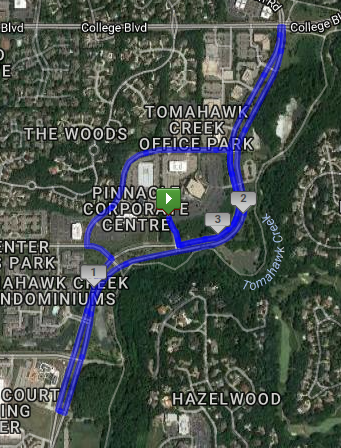 The course is flat and fast along Tomahawk Creek Parkway in Leawood. This will be a great course if you are running your first 5k or if you are a seasoned runner looking for a new PR.